It has been brought to my attention lately that some of you are wondering if we should still be tucking our jeans into boots? And what types of jeans will help us do this effortlessly and without the extra denim hanging/bunching around the knee area or above the boot shaft. So YES! Please tuck and control those old boot cuts or baggies or heck just leave them on the closet shelf and get some sweet skinnies for the winter!!! Whether your boots are tall, mid-calf or ankle booties they are all prime candidates for a clean tuck. 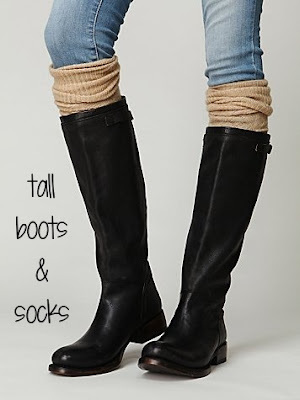 I LOVE the look of tall socks peeking out the top of boots, over jeans or leggings this winter. They also help to hide your jeans if you just cannot part with a bootcut style or cigarette leg. I would cuff my jean first then fold over and tuck into the sock so it will stay in place down by your ankle. Old Navy great skinny jeans for all shapes and sizes and cheap! Nordstrom has a slue of designer skinnies if that's your bag, personally I would rather have multiples of jeans lol but you knew that right?! Lets make those boots proud and show them off! 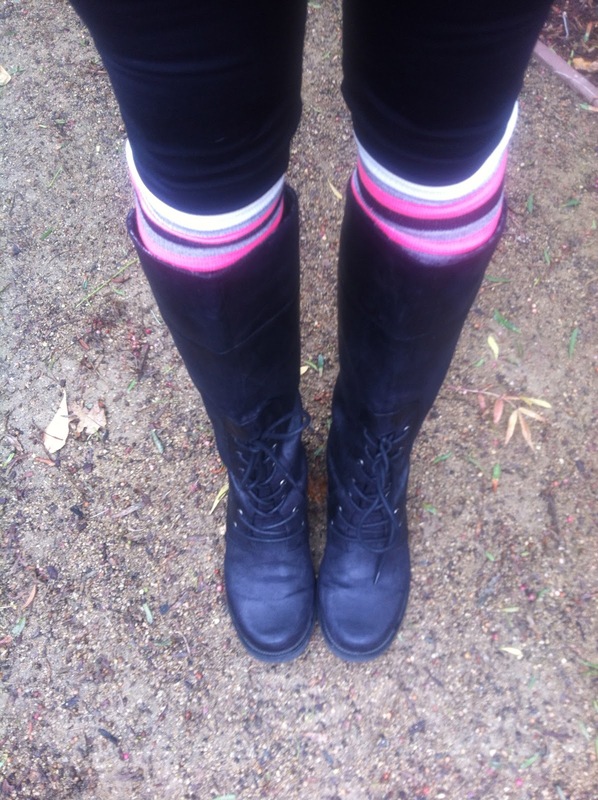 Remember to tuck your jeans into boots and have fun with it! Rock your style proud and sassy and kick up them heels!!! 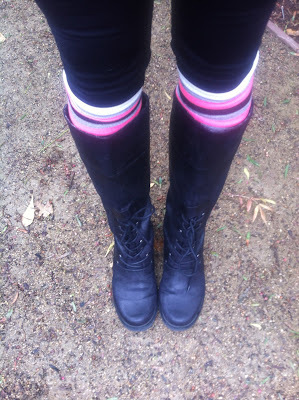 Do you have a favorite skinny jean that just sails right into boots? Or are you making do with your old denim and pulling it off?